Welcome to a new segment called Appetizers. We know that all you Feeders out there are looking for the latest and coolest information and this is where you’re going to get it. In a day such as today where all kinds of news and information drops, we’ll provide you with a brief synopsis of what’s gone down. Today Take 2 announced 2nd DLC installment for GTA 4 in the form of “The Ballad of Gay Tony”. ” In “The Ballad of Gay Tony” players will struggle with the competing loyalties of family and friends, and with the uncertainty about who is real and who is fake in a world in which everyone has a price. The Ballad of Gay Tony” comes to Xbox Live and will also be available on Disc for the Xbox 360 this fall. Fans of Bioshock no longer need to speculate on the release of the highly anticipated Bioshock 2 – The Cult of Rapture. 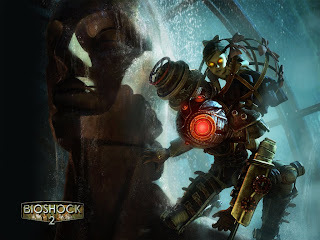 The official Bioshock 2 website states that the game drops October 30th internationally and November 3rd here in North America on the Xbox 360, PS3 and PC. I never played Bioshock but I will. This summer…I swear. Take 2 further made headlines today as they announced that Red Dead Redemption and Mafia 2 would slip to the companies 1st half of the companies fiscal year which puts the release somewhere between November 2009 – April 2010. In a phone statement to investors, Take-Two CEO Ben Feder said “We have a pretty firm policy at Take-Two about [not releasing a game] before its time. If the development cycle requires more time,we’re highly dedicated to quality. We’ll give it the time it needs. … We simply just wanted to make sure that [we] had the right level of gravitas behind the games. We know that Christmas is a competitive season, but most of what’s driving all of this is making sure the game is developed in the right quality and in the right way. For about 2 weeks now a small mystery has been all the talk on the net. A Konami teaser site has been teasing us all with images of what looked to be a new Metal Gear game with a countdown clock that continually gets reset and reveals little to us viewers. Last night another countdown reset and started again but with a minor addition – Now we’re treated to an image of a young Snake/Big Boss (? – Who can keep track?) 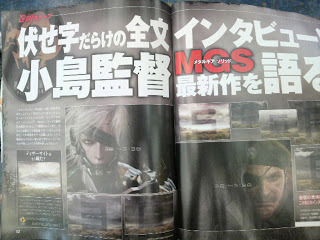 looking very serious in his beret – Further to that point, the latest issue of Famitsu has an interview with Kojima who gives very little information but does confirm it will take place in the Metal Gear Universe.